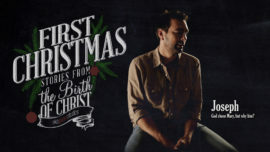 These videos tell the story of Mary and Joseph leading up to Christ's birth on Christmas. Perfect for your Christmas Eve service or series leading up to Christmas Day. An innkeeper struggles with whether or not to turn away Mary and Joseph. Who would’ve thought that a dream could be reality? Joseph discovers the role he will play in the story of Emmanuel when an angel visits him in a dream with a call to protect. The Messiah is coming and Joseph gets to be part of this story—a story that is now a part of us. 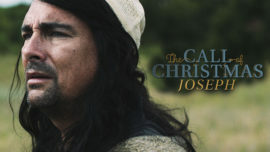 Watch as Joseph struggles to understand why God would choose him to be Christ's earthly father. Mary and Joseph both have their eyes to the future, but about very different things. Watch as Mary struggles to tell Joseph about the future God has in store for their family. Part of the “Our Coming Savior” Christmas series. 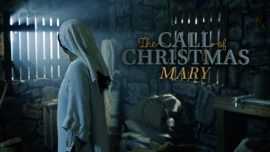 Watch as Mary discovers that Christ really will change everything. Sometimes we need to experience the same world-changing story, told in a different way. Musical underscore is “Hallelujah”, performed by Future of Forestry.